Klewel 2.0 | Meet us at IMEX 2011 in Frankfurt (May 24-26) ! 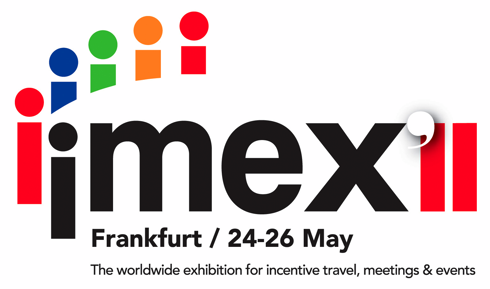 This year again, Klewel will be present at IMEX 2011, the essential worldwide exhibition for meetings and incentive travel, taking place from May, 24th to 26th in Frankfurt. With more than 3,700 hosted buyers as well as 3,500 exhibitors coming from 157 countries representing professional conference organizers, major hotel groups, destination management companies, IMEX is THE place to be. You organize events such as international conferences or world congresses. You want to keep a record of these events, make them accessible to a specific audience, without space and time constraints. Klewel proposes innovative solutions that capture all aspects of the presented content (audio, video, slides). Share each event with a wide audience over the Internet or target a specific audience over a secured Intranet. Very easy to use, this solution is the essential complement to every event. Klewel ensures the visibility and continued existence of your events. 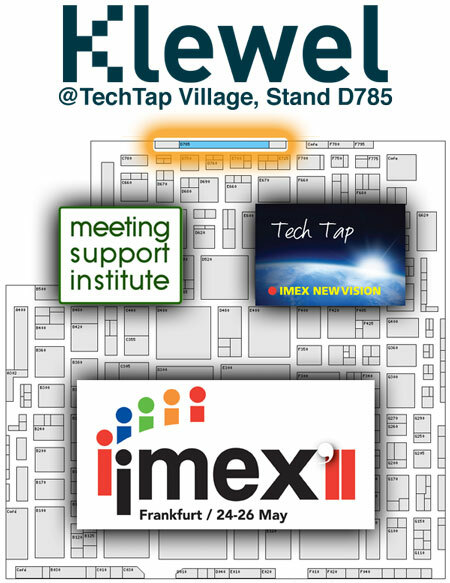 Meet us at the Tech Tap village (stand D785), Hall 8 of the Messe Frankfurt. See you there ! In December we are organizing an international conference in Verbier SUI. Your company has been recommended to us through our IT manager Mr. Joseph Sarrasin. Please contact me for a first review of potential solutions.